The popular MBA institute in Pune was part of two films till date. Even though it’s known for its appearance for the movie Bodyguard, if you looked closely in the movie Mujhse Fraanship Karoge, you can spot some of the campus sites in this movie too. To maintain the authenticity of the story-line, the movie 2 States was shot in the campus of the IIM Ahmedabad Institute. Literally, every aspect of the college that was mentioned in the movie was shot in the original campus and not in the studio. Apparently, the top engineering institute of India as mentioned in 3 idiots was the campus of none other than the IIM Bangalore. Even though parts of the campus were created, the C block and the D block and quadrangle were from the institute itself. 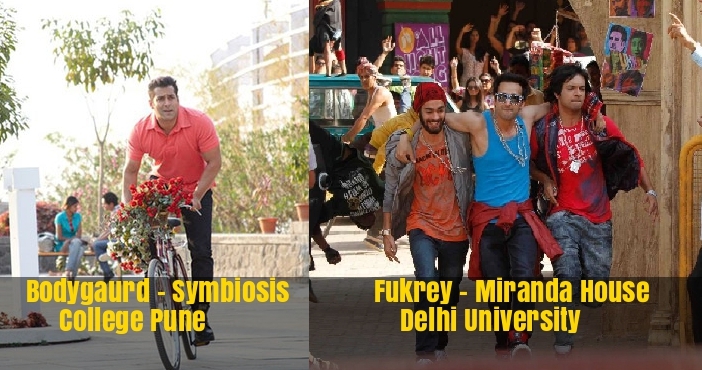 The DU is a haven for Bollywood Films. With so many colleges as a part of the campus, many movies had the opportunity of using this university for their movie. 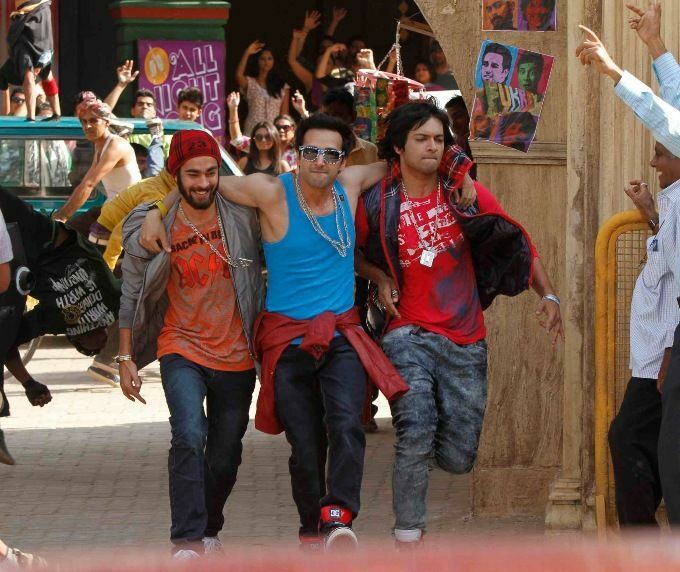 Famous movies that were shot here are Rang De Basanti, Rockstar, Fukrey and Band Baaja Baarat. After K2H2, the next popular movie that was shot here was Jaane Tu Ya Jaane Na. However, the campus of this college has always made a lot of appearances in various advertisements over the years. No One Killed Jessica, based on the true story of the Jessica Lal Murder case was shot at the Dwarka Campus of IP University, Delhi. The All India Institute of Medical Sciences (AIIMS) trauma center was also used for a day shoot for one of the scenes in the movie. The youthful entertainer starring Ranbir and Konkana in quite perky roles were partly shot in the campus of HR College of Commerce. 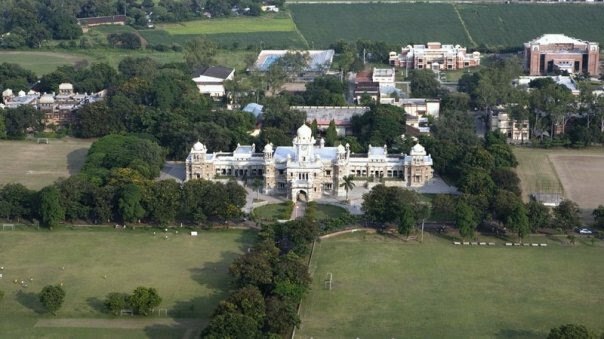 The grand school where the dean hosts an annual event where the all-rounder student is given a scholarship was shot in the Forest Research Institute. Other movies that were shot here are Krishna Cottage, Rehnaa Hai Terre Dil Mein and Paan Singh Tomar. Remember the big campus where S.R.K. used to propose to Sushmita Sen or the grand climax where the fight concludes on the edge of the college building! Well, the location is a real institute as such. It’s St. Pauls School at Darjeeling. 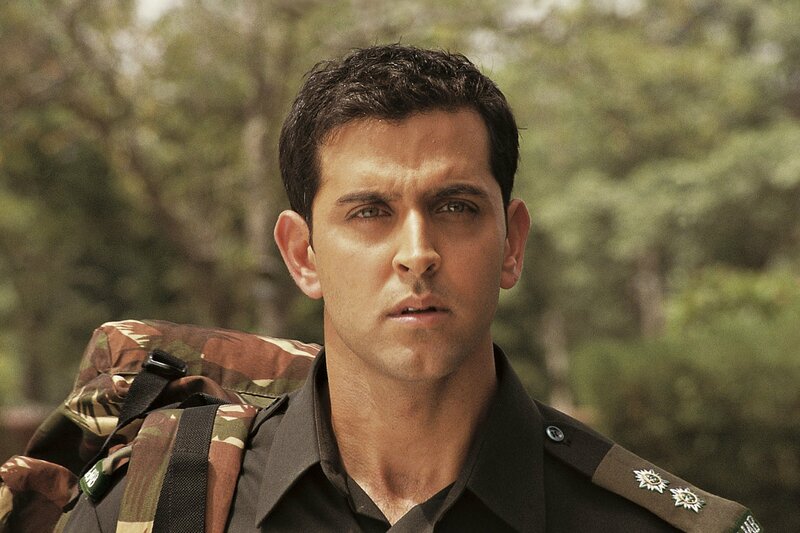 Well, Hrithik went from being lazy to being an army man, in the movie Lakhsya. And in order to ensure that he did the right way, the movie was shot at the Indian Military Academy at Dehradun. That’s quite a bold move to take for shooting a movie for the sake of authenticity. We saw Munna Bhai making his way to a fake degree to giving “Jadu ki Jappi” to the students of the college here on this campus. Yes! We met our favourite “Munna Bhai MBBS” and his beloved childhood friend “Chinki” in this college. 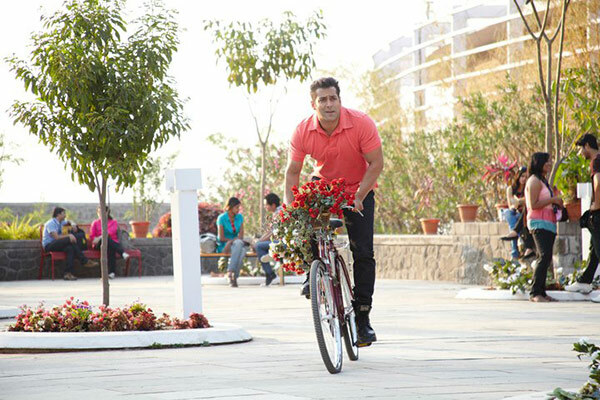 The college shown in the movie where Kajol and Salman meet is located in Salman’s birth city Indore. 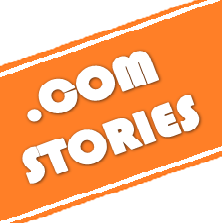 It was founded by Sir Henry Daly of the British Indian Army during India’s colonial British Raj. Internet Just Found The Hottest Math Teacher In The World And Her Pics Will Make You Fall In Love! !